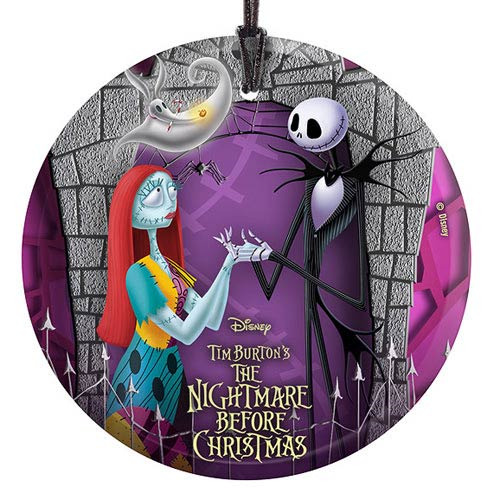 Shopping for Nightmare Before Christmas Holiday Ornaments? The weird and wonderful characters from Tim Burton's The Nightmare Before Christmas are featured on this stunning glass tree and window ornament. Bring Jack, Sally, and Zero into your own home with this official Disney collectible! Complete with a hanging string, this Nightmare Before Christmas Jack, Sally, and Zero StarFire Prints Hanging Glass Print comes ready to display. Measures 3 1/2-inches in diameter.